This photo is perfect for Pinterest! Of all the culinary achievements I've mastered (cashew ricotta, flavorful tofu scramble, killer 3-bean chili), there are a few foods that I can't seem to get just right. Bread dough is one--I don't know why but the idea of homemade dough completely perplexes and intimidates me (good thing I'm not eating much gluten), and another is the boiled egg. I've attempted several methods, but 90% of the time, you'll find me over my sink, peeling the shell away from my eggs with most of the egg's white along with it. 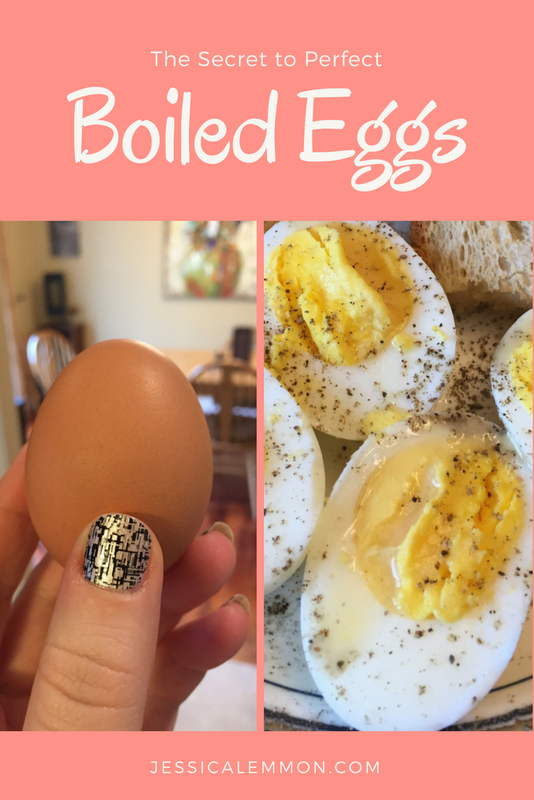 Lumpy, bumpy, ugly boiled eggs have long been my plight. Today, after a failed attempt at hashbrowns--my frozen bagged brand was frozen into a solid (and I do mean solid) chunk, I decided to conquer the boiled egg. I would adapt my method ever so slightly, and pray, and then see what happened. I don't know if it was the prayers that worked, or the atmospheric pressure, or the luck o' the Irish, but it worked! The next time I go to boil eggs, I'm totally doing it this way. Place 4 eggs into a pot and cover with cold water. Cover with a lid and bring to a rolling boil--the kind where you can hear the eggs knocking around on the inside of the pot. *THIS IS THE TRICK* Turn the burner down to low for 1 minute. Turn it off and let the eggs sit for 9 minutes. That one minute on low, at least on my gas stove, seems to be the secret I uncovered. Give them 30-60 seconds or so before cracking the shell and peeling them to smooth, orb-ish perfection. I top mine with Earth Balance buttery spread, salt, and lots of freshly cracked black pepper. Mmm.